sunglasses for this post. An insane amount of glitter went into this look…. 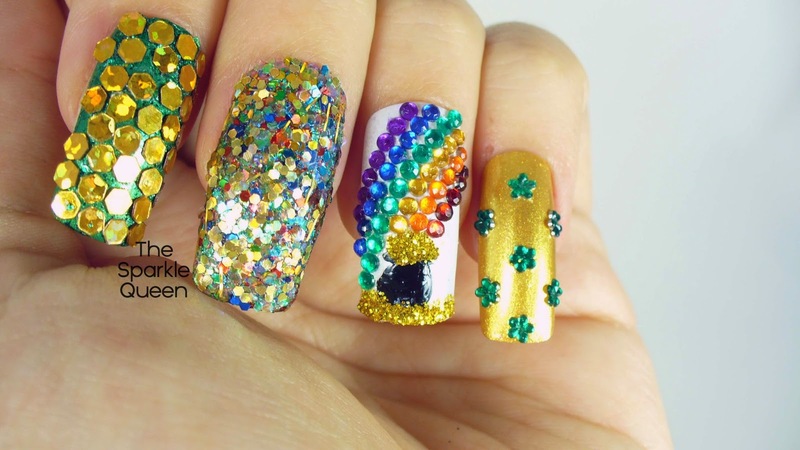 or leprechauns.” I went with a pot of gold and rainbow look. It’s a glittery skittle of sparkle! the pot of gold looked so lonely by itself. That’s when all of the glitter, sequins and rhinestones came in! official Facebook Group here to get the details, and learn about future challenges. That challenge is going to continue on with a new graphic and prompts. Make sure to join her Facebook group if you are interested in joining! 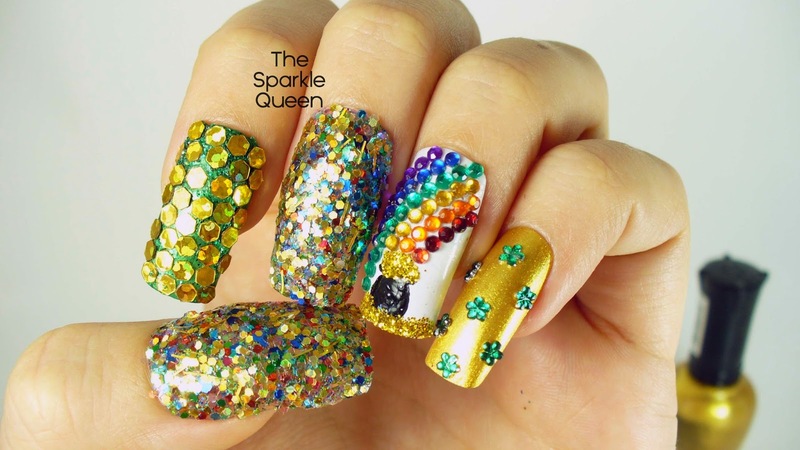 This mani is bling-tastic! Just wow! Wow!! So much glitter! Really really love your rainbow! Ohmidot… I'm blinded! Insanely hot, girlfriend. 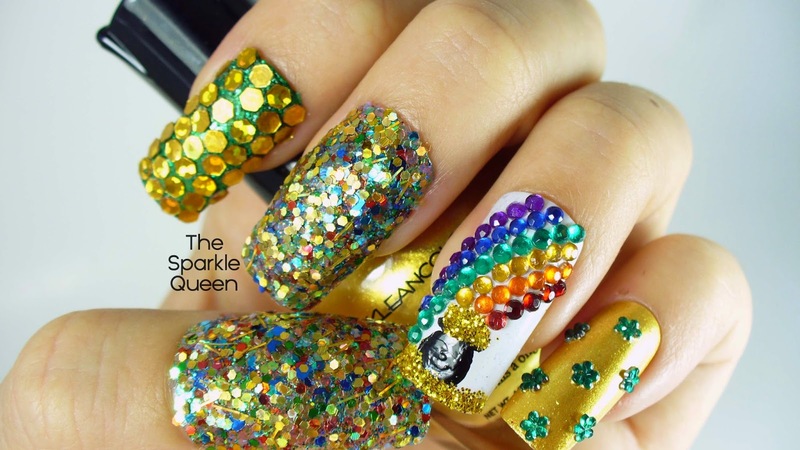 But, the most awesome part of this mani is that some understated kind of girl (yanno, not like us) could take any single one of your nails and make it an accent finger! 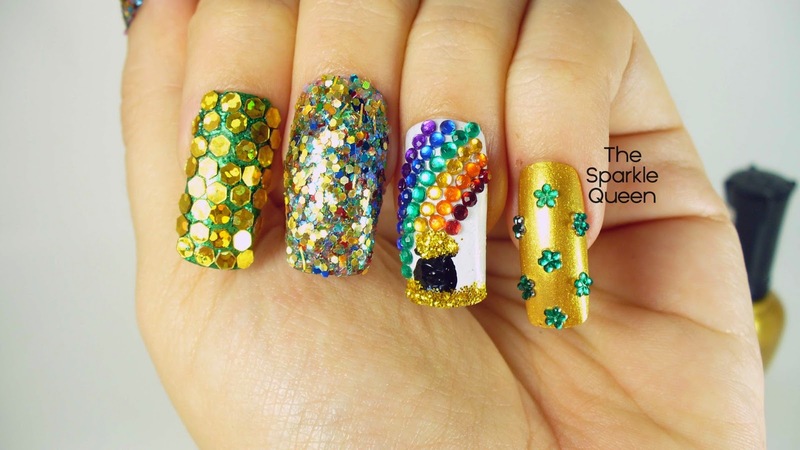 That said, I think my favorite is the rhinestone rainbow with the pot of gold. It's gorgeous! That's right! You can never go wrong with glitter and rhinestones! Thanks for stopping by Emily! All the glitter! Your title definitely doesn't disappoint. I can't even pick a favorite thing, it's just all so perfect as a whole. This is so. Unbelievably. Sparkly!!!!! I love how festive this mani is! perfect Sparkle Queen! I love this design so much! These are nuts! 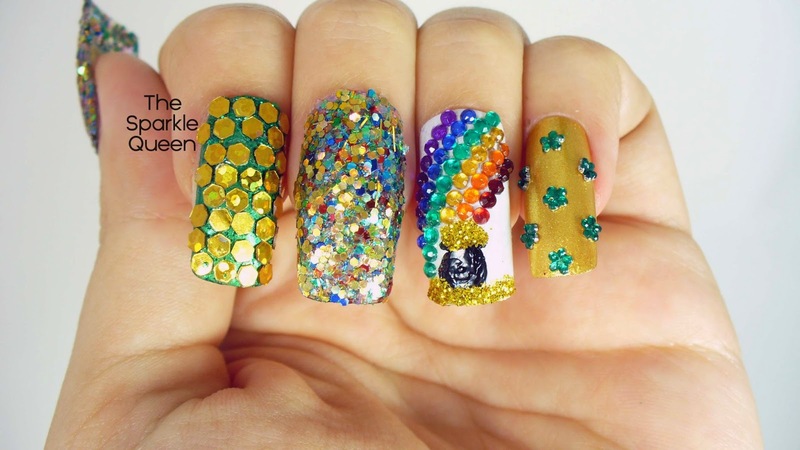 My fave is the pot of gold for sure!